Reader Poll - How Many Sites are Too Many? | Jenny. Maker. 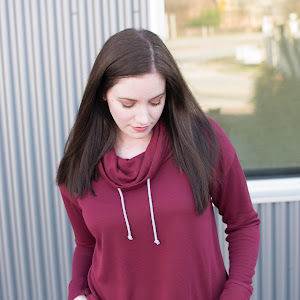 Have you noticed the new sewing sites popping up lately? 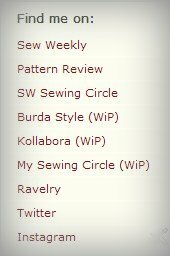 I recently joined Kollabora (which looks quite promising) and before that, there was My Sewing Circle and BurdaStyle... and I'm probably half a dozen more that I don't know about. Today, I decided to be a good member and update my accounts with my latest project, my Modern Mary dress. Now that I've done so (well, I haven't even gotten to My Sewing Circle yet! ), I'm wondering, how many sites are too many? Just look at the list of sites on my side bar! Will readers get tired of seeing the same projects on several different sites (read: won't you get tired of seeing the same old pictures of me)? Or should we continue to post everywhere to expand our community (I'm never one to turn down new friends! :-) and I do love seeing the wider variety of inspiration)? I just want to throw the topic out there to hear your points of view. Do you post to all of these sites or do you work just to keep one up-to-date? At this rate, I'm wondering if we'll start spending more time writing about/commenting on projects than we do actually creating them!? Seriously. I join the ones I hear about in the hopes of getting more ideas and inspiration and meeting new people, but I've been so busy lately that I've hardly had time to keep up with a blog, let alone add to these other sites. I think you do a fantastic job keeping up with your blog! I join all of the others for the same reason and for that, I could just browse rather than post but, then I feel like a bad member haha. It can be a bit of an overload, can't it? I feel like you guys are probably sick of seeing my ugly mug in the same places all the time! I just joined Kollabora, which seems nice, but I'm not very active on BurdaStyle and I'm not a member of any other sewing sites (I use Ravelry, but I only knit in cool weather, so I take a summer break every year). But you're right-- you can easily spend more time online than working on stuff! I use Pattern Review. I tried the Burda site, but just found it too confusing. I've tried Ravelry, but I barely knit. The rest, I've never even heard of! I think a lot of people enjoy Pinterest, but I haven't tried that either. Oh dear, I really am a stick in the mud! I try and separate it up a bit - anything sewn for sew weekly goes onto the sewing circle (although for us non-contributors... well, we never know the upcoming themes anymore - May's challenges are still up), and other projects to Burdastyle when I can be bothered wretling with it, but all onto my blog. Just on the subject of Burdastyle - it looks like they've removed the free, community uploaded patterns! For a site that already was a bit of a pain, removing this feature got my goat. I could grizzle more but shan't! I love your projects so am happy seeing them wherever, it totally depends on how much time you want to spend uploading! That sounds like a good system. Maybe I should adopt something similar. For Sew Weekly, next is "On Trend" (using either summer or fall 2012 trends ex: I'm doing pastel) and then, "Color Challenge: Red, white, and/or blue". Oh no! I hadn't yet noticed that Burda took down the free patterns but, I agree, that's very disappointing! I love looking at Pattern Review. Registered it with Burda but only look at the patterns, and may make the odd comment. Love Pinterest, but I would put that in a different box as it is more for inspiration, so gives you tons of ideas, I find it invaluable. Twitter I may go on the odd time. Just recently joined Kollabora. Hate the moving header, drives me crazy. It sounds like you've got it sorted out :-). Hmm, I haven't noticed the moving header on Kollabora yet but, I've only really been on it once. Hopefully it's something they'll work out. I have Twitter, Pinterest, BurdaStyle and Pattern Review on my sidebar. I'm an active Twitterer (have a sewing account and a personal account). Check and repin on Pinterest every now and then. BurdaStyle crashes too much! I only share on BurdaStyle when I really like what I made and I only share on Pattern review when I make something from a commercial pattern. You would like you have it down. I think I'll follow your rules - BS if I really like the garment (and have good photos... and the extra time for the additional post) and PR only for commercial patterns. I have memberships on Pattern Review, BurdaStyle, Ravelry, Craftsy, and My Sewing Circle. I also recently signed up for Kollabora, but haven't done anything yet. I used to be pretty active on BurdaStyle, but after the site changed to absorb the magazine, I've increasingly dropped off of the site. I've found that it's really hard for me to keep up with just even blogs (there's too many that I like!) and I don't want to post the same project 5 times. I've found the sense of community at BurdaStyle to be kind of lacking, and hard to break into at PR. I've been strongly considering narrowing my focus to be my own blog + a select few sites--namely Ravelry and My Sewing Circle, as it seems to be the closest thing to Ravelry for people who sew, and I've been quite impressed with the former. I haven't really had time to poke around Kollabora yet, so the jury is still out on that for me. But what you mentioned is exactly it-- I don't want to spend all of my time on the computer looking at projects and not actually making them! I've been wondering the same thing! By the end of last year, I was posting every project on my blog, PR, BurdaStyle, and TSW...it got to be a bit ridiculous! Now I only post on PR if it's a commercial pattern (which, like you, is becoming less and less frequent as I make things up), BS if I feel like it (usually I don't), and I don't bother with TSW anymore now that there are so many contributors and I didn't make the deadline for signing up. I signed up for Kollabora, but the thought of figuring out yet another system is just too much right now! Thank goodness I don't knit? My my! You were quite a busy bee! I can totally understand dropping off some of the other sites. Haha, you know you want to learn to knit so you can add Ravelry to your list ;-). I know, there is so much to keep track of! BurdaStyle is my first love, so I will likely continue to post my projects there. It was while browsing BurdaStyle for a free purse pattern that I discovered people still sew clothing. I was pretty much oblivious to it before that. I stalked Burda for about 6 months before diving in sewing my first dress. 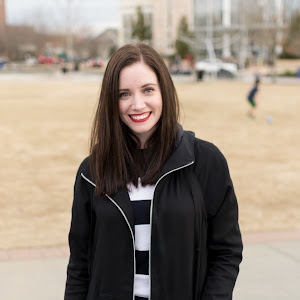 Blogging is a close tie with Burda for me, because I love how it is super personable, and kinda makes me feel like I have "friends" all over the world. I also appreciate Ravelry, it can be very helpful to tips and tricks with certain patterns. The rest to me are things I check out once-in-a-while. Though I am curious about Kollabira . . .
What a lovely view of Burda! I must confess, they've recently moved up my list as well. I do find the site very inspiring - I just need to get a hang of the format. Burda Style and Pattern Review are my all-time favorites and above that reading fellow sewists' blogs. 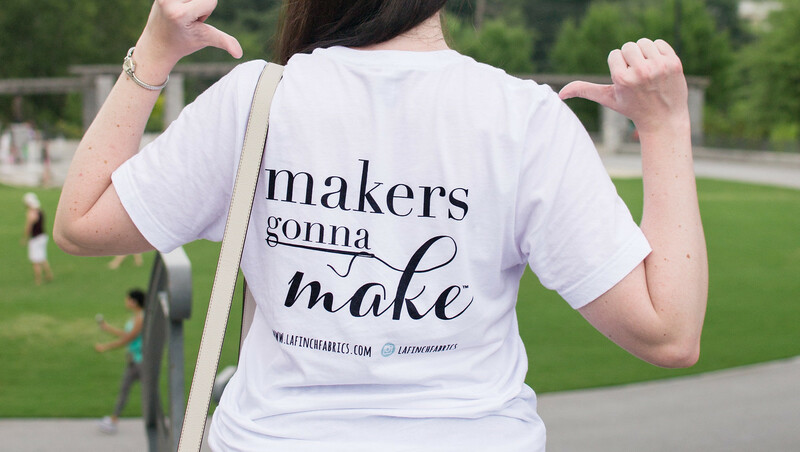 My Sewing Circle seems more personal than PR and BS because you can easily leave a comment and/or email a member about a project.